There were 615 press releases posted in the last 24 hours and 153,943 in the last 365 days. 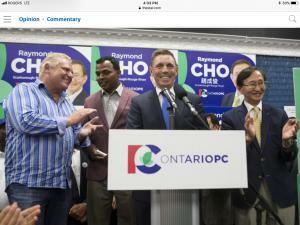 Who is on the right side of political history in Ontario? 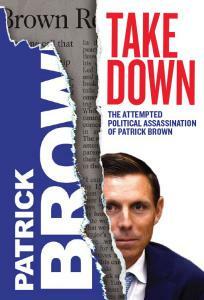 Today, Optimum announces the Publishing date for Patrick Brown’s tell-all book Takedown, The Attempted Political Assassination of Patrick Brown. This searing critique of the rivals and colleagues who betrayed him, and the friends, family, and supporters who stood by him is a political story like no other. In the most compelling political memoir this century, Brown takes you through his rise in politics, his successes and failures—and most importantly, the events that led to his swift fall from grace. Even before the TV cameras went out, his closest advisors were headed for the exits, negotiating with rival campaigns that supposedly didn’t even exist. There’s no question that Brown was the victim of a smear job, but one paid for by whom? Liberal? 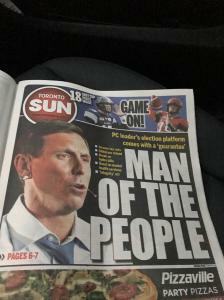 PC Party? Bay Street? or rogue actors? Chapter 5 chronicles and captures Brown’s thoughts and emotions as he and Thompson (his communications director) listened to the caucus call for 20 minutes; until announcing they had been on the call for its entirety. This compelling chapter will take the reader through an emotional journey of what took place before and leading to his unintended resignation. later. Our editorial team along with the author were able to fill in some of the gaps as to who was who on the call and what was said by each everyone. Patrick now gives his take on what was going on while he and Rebecca Thompson sat in silence for the first 20 minutes of that faithful call when the knives came out in earnest on that cold Winters night. The book is a who's who of both the past Liberal and the PC government as well as the Conservative establishment both in Ontario and Ottawa. A sample from the INDEX of all Indexes. The book is embargoed until November 15, when national syndication will run in multiple outlets. A full media and book tour will commence upon release.